Virginia Beer Blog: Chincoteague, Here We Come! Today is the day!  Ercell and Jessica, along with my Wife Lauren and I, will be leaving soon for Chincoteague Island's Second Annual Saltwater Brew 'N Que! Starting this evening, spectators have the chance to participate in the People’s Choice Wing Tasting event (6 – 8 p.m). Tomorrow is the main event: A day full of barbecue and beer tastings from some of the best craft brewers in Delaware, Maryland, and Virginia. Keep an eye out for updates on our Twitter and Instagram, as well as a follow up blog post on all of the goings on.